This week we bring to you a very special interview about Virtual Reality and Augmented Reality. Experts Alberto Ruiz (from the Augmented Reality company 3IN) and Elena Blanes, from the Virtual Reality company Stega answered a few questions about the present and the future of AR and VR. What is the current situation of Virtual Reality and Augmented Reality? Both technologies have been through different stages: euphoria, loss of focus, and more recently they are in a stage of steady growth. There are instances of market products that reached the final consumer in both cases. The most widely known augmented reality success case is Pokémon GO, with over 750 million downloads. For virtual reality, the success came from PlayStation VR, surpassing 2 million sold units. These technologies are becoming more present at home and jobs. Their massive social success has come when they were used for entertainment. The current trend is to unify them under the name of XR, a term that combines augmented reality, virtual reality, mixed reality, etc. These are not excluding categories and, in many cases, they complement each other and can be found together in all kinds of solutions and applications. What are the industrial applications of VR and AR? What are the benefits? Industry-wise, the applications are plenty. 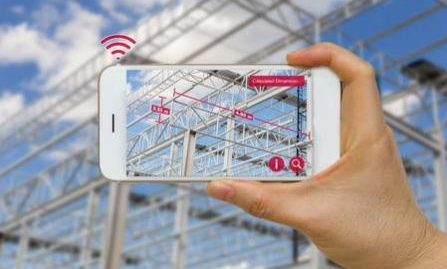 Regarding augmented reality, the most famous and widely spread are those applications that help workers in manufacturing, maintenance, support, verification and quality control. Wearable technologies are the most commonly implemented, since checking information or recording multimedia reports without using your hands is a really sought-after solution. Virtual reality is one of the most demanded when it comes to training. People want to know how to simulate an event, space or task, measure both the movements and the times of the user in order to gather data to improve the learning and teaching method. It is possible to simulate tasks in extreme environments and in big-size and ephemeral infrastructures in order to teach and learn the instructions perfectly. Although people usually know virtual reality applied to the video game sector, this technology has become a true revolution in the above-mentioned sectors. The entertainment industry is always important and it might be the most prominent, but it is in medicine, science, and education where virtual reality is making a real impact. There are now surgeons that can rehearse operations, apps that help overcome a phobia, school projects where students interact with atoms, bones, and muscles, etc. What is the future of AR and VR? We are getting closer to the world seen in the movie Minority Report. It will take a few years to achieve that kind of interface but devices like Hololens are bringing us closer every day. With the evolution of bionic implants and the integration of artificial intelligence, the future of these technologies will be outstanding. Technology develops at a rapid pace and, both AR and VR are more accessible now. You can buy a cellphone with augmented reality apps and lightweight wireless virtual reality goggles in any technology store . What are the short-term goals in the application of AR and VR? On one side, there are companies that are putting money forward in their digital transformation processes, and a crucial aspect of it will be the adoption of virtual and augmented reality solutions. It is not going to be easy due to the lack of expertise and the false belief that VR and AR solutions work the same way in the entertainment sector and the industry. Sometimes, these misconceptions might lead to disappointment. It is vital to implement an information and training process, demonstrations, and pilots so that users in professional environments see for themselves and try the benefits of these technologies. On the other side, there is the incredible hardware and software development that we have witnessed these past years and appears to continue this year. Artificial intelligence will intersect with augmented and virtual reality in the mid-term and wonderful technologies are expected from that. One of the biggest challenges is how people will incorporate these tech devices into their everyday life, whether or not they feel comfortable using them. New Road Pavement Process Under the Rain (8K € in Prizes)Meet the winner Maksym Gaievskyi: "Working Remotely is not a Problem"